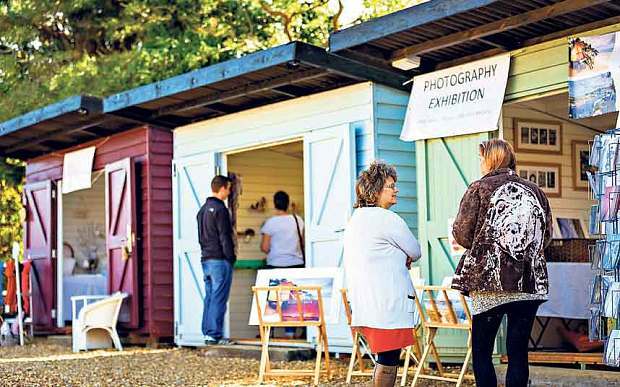 Curious shoppers are flocking to the tiny village of Burnham Deepdale, on the north Norfolk coast, to visit the artisans taking over pop-up shops in Dalegate Market. Now in its second year, the season launched last week and will run until the end of October. Four new independent businesses, selling everything from beer to buttons, will take over the shops each week to encourage both local consumers and tourists to visit the area, bringing much-needed revenue to the village’s permanent shops and nearby tourist destinations. 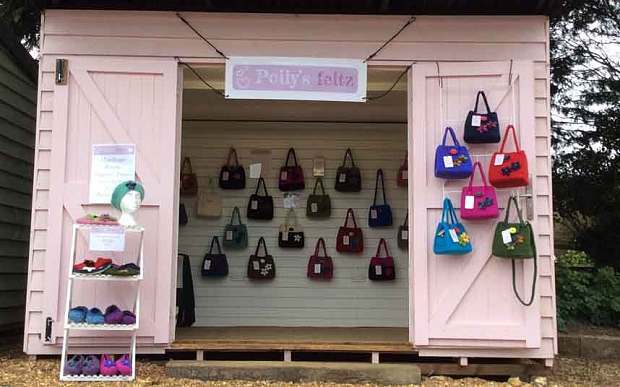 Polly Warnes, founder of Polly’s Feltz, took over one space last week, selling her handmade range of felt bags. The bags start at £42, and each one takes three days to make. “During a good week at a pop-up, I can sell 10 bags,” says Warnes, who usually offers her wares for sale at craft fares and via her online shop. 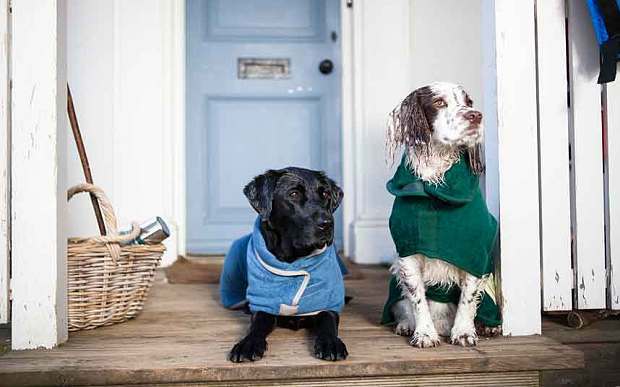 Alison Priestley, founder of Ruff & Tumble, makes towelling dog coats that can dry a wet pet in half an hour. As the owner of four dogs, she came up with the idea after struggling to keep her soggy pets off the furniture. “They love going into the sea and I was permanently trying to dry them,” she says. “When I started helping my dad on the farm, 99pc of our revenues came from traditional farming. Now it’s more like 50pc,” he says. The pop-up beach huts in Dalegate Market have been built on the site of an old garage and workshop. “My dad had sold the garage on because we didn’t want to be running a petrol forecourt,” he explains. “We wanted to make sure that we had a shop where locals could buy bread and milk, and we introduced a campsite and backpackers’ hostel to attract tourists,” says Borthwick, who is intent on building an entrepreneurial ecosystem where all businesses create more revenue for their neighbours. The local supermarket, Keshco’s, is a family business operated through the Nisa franchise, which allows the shop to sell competitively-priced staples alongside produce from the local area.